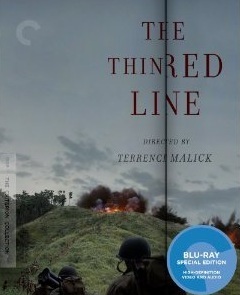 The Thin Red Line is a Terrence Malick movie that was produced in 1998. It is an adaptation of the 1962 book by James Jones about the WWII battle for Guadalcanal. It was a big-budget movie but also a philosophical one starring Sean Penn, Nick Nolte, Elias Koteas, Woody Harrelson, Adrian Brody, George Clooney and John Cusack. Some consider it to be one of the best war movies. Amazon customer D. Litton said, "Even those not partial to war films may favor the grandeur and spectacle of The Thin Red Line. A stirring war epic and an intense journey into the mind are swirled into an engrossing movie that tugs at the heartstrings with such a grip you have no choice but to go along with it." The blu-ray release? Well, it was one of the best blu-ray movie releases of 2010. 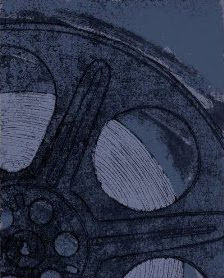 DVD Talk praised the blu-ray disc saying that it was jaw-dropping and had great technical qualities. Blu-ray.com said that the film has been reproduced extremely well on blu-ray disc and that it has great new special features. They declared it VERY HIGHLY RECOMMENDED. Finally, DVD Verdict says that Criterion did a very good blu-ray release and that it is "almost certainly their pick for Blu-ray of the year." What do you think? Have you seen The Thin Red Line? Order your copy of The Thin Red Line from Amazon. Discover The Best Blu-ray Discs Ever. My Marine vet son said he saw The Thin Red Line after he saw Saving Private Ryan so he was a little bit disappointed. He said it was a bit slow, but that it was a good movie.